"I cannot bear it!" said the pewter soldier. "I have shed pewter tears! It is too melancholy! Rather let me go to the wars and lose arms and legs! It would at least be a change. I cannot bear it longer! Now, I know what it is to have a visit from one's old thoughts, with what they may bring with them! I have had a visit from mine, and you may be sure it is no pleasant thing in the end; I was at last about to jump down from the drawers." New Updates! (4/18/2019) We've been working really hard on completing our membership system so you can submit quotes and keep track of them. Once this is complete in the coming weeks there will be a lot more quotes by Hans Christian Andersen and other authors. 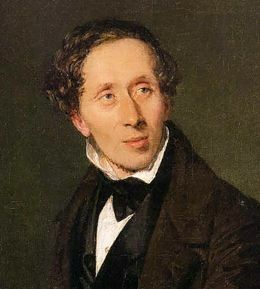 We've also changed the sorting on the site so you now see the latest Hans Christian Andersen quotes first. Our goal is to have the best Hans Christian Andersen quotes on the web!